The piece is limited to 5,000 pieces worldwide. 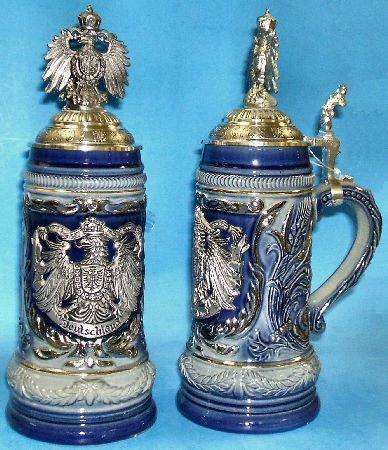 This attractive stein has a pewter lid and a pewter eagle on the front. It also features a pewter eagle on the lid . 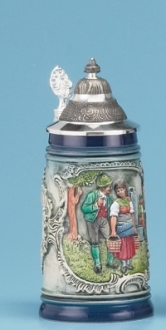 This 1/2 liter stein is about 11.5 inches tall.